Berry Bros. & Rudd Spirits is proud to announce the introduction of The Glenrothes Vintage 1992 Single Malt Whisky, 2nd Edition, arriving in the U.S. this October. Aged 10 years longer than the 1st edition, this new release benefits from extra maturation and bottled at a higher strength of 44.3% ABV for greater intensity and richer character. In 2004, when the first Vintage 1992 was released, the then Glenrothes Malt Master John Ramsay selected the casks he deemed at their best, but left some casks to mature longer. Current Malt Master Gordon Motion has maintained a close eye and nose on the casks and determined that, 10 years later, the 2nd edition of Vintage 1992 is ready to enjoy. Non-chill-filtered and natural in colour, Vintage 1992, 2nd Edition, is aged in a mixture of refilled Sherry Butts and American ex-Bourbon Hogsheads. 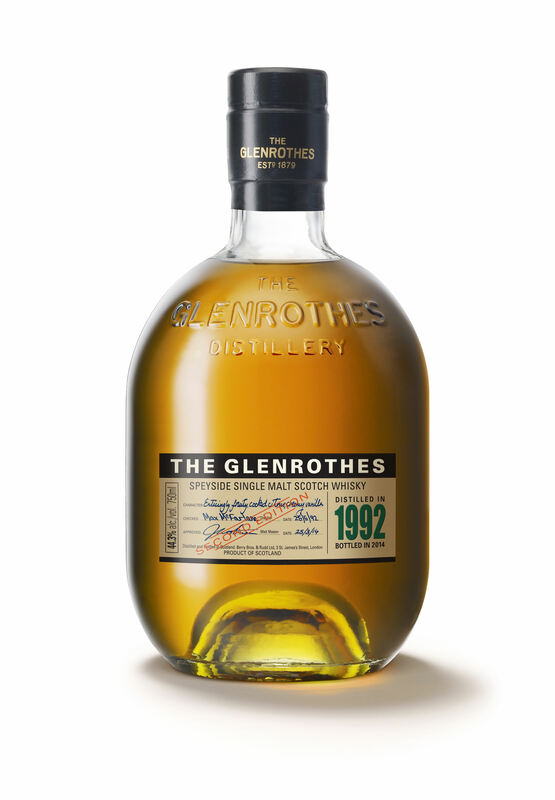 The Glenrothes Vintage 1992 will initially launch in the USA in October with RRP of $249.99. From 2015 it will become available in other markets priced at £175 / €215.